CLEVELAND (July 24, 2017) – Great Lakes Science Center is planning an out-of-this-world August to celebrate kids heading back to school and the upcoming highly anticipated solar eclipse. 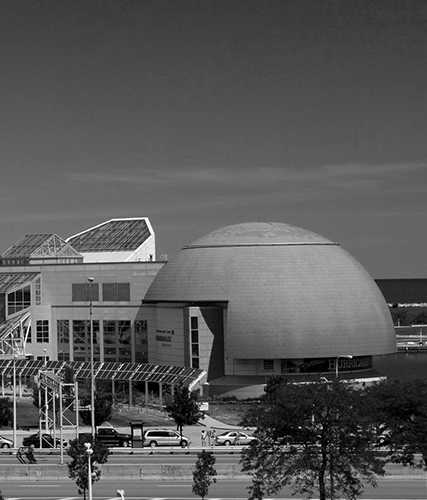 From a day of FREE general admission for kids to a whole weekend of special activities leading up to the eclipse, there’s something for everyone happening this month at the Science Center! Treat your family to a back-to-school send off with FREE youth admission for all kids ages 2-12 on Monday, August 14 from 10 a.m. to 5 p.m. In collaboration with the NASA Glenn Research Center, all youth general admission tickets will be free (children must be accompanied by an adult). Guests can check out explosive demonstrations like Force and Motion, learn more about 3-D printers, blast off with a Big Science Show, and take home a souvenir photo from the “Picture Yourself in Space” photo booth. Click here for a full event schedule. Join the Science Center and NASA Glenn Research Center for a Stellar Eclipse Weekend, Saturday, August 19 through Monday, August 21! Leading up to the amazing solar eclipse that will be visible across the United States on Monday, August 21, we’ll be celebrating with a whole weekend of hands-on activities, special demonstrations, simulcast eclipse coverage from around the country on NASA TV and even an outdoor sun salutations yoga session. Guests can catch a Big Science Show, get hands-on in a water workshop, learn about ultraviolet light from the sun, launch a rocket and watch the eclipse from our garage lawn. 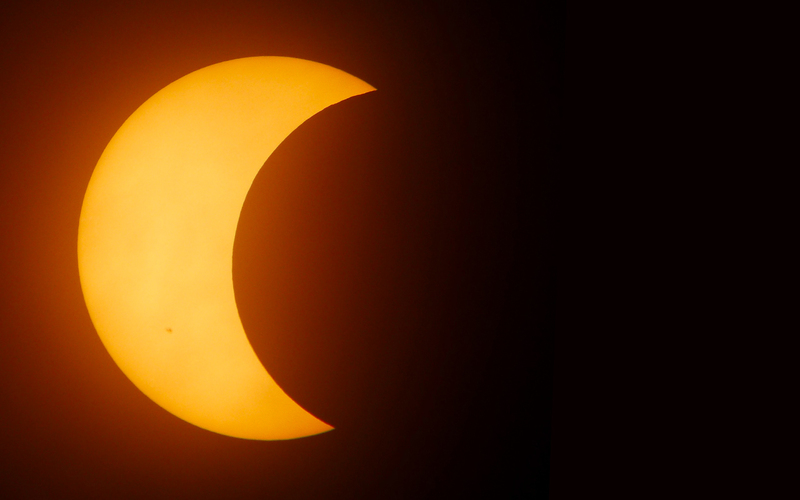 Hours are 10 a.m. to 5 p.m. Saturday, August 19, noon to 5 p.m. Sunday, August 20 and 10 a.m. to 5 p.m. Monday, August 21 (approximate hours for the eclipse are 1-4 p.m. on Monday, with a predicted peak time of 2:30 p.m.). View the full event schedule, here. The galactic theme continues after hours at the Science Center on Saturday, August 19 with the next installment in the Take Two! Double Features at the DOME classic film series. Catch a back-to-back screening of recent astronaut adventure movies “Gravity” at 6 p.m. followed by “The Martian” at 8 p.m.
Take Two movies are shown in industry standard picture ratio in the newly renovated DOME Theater, with state of the art digital projection, 11,600 watt digital sound system, and concessions including beer and wine. Tickets are on sale now and are available online at GreatScience.com or by phone at 216-621-2400. Tickets are $10 for a single movie, or $9 per movie for two or more movies purchased together. Look ahead to the September-December movies and purchase three or more movies at the same time and get tickets for just $7 per movie. Discounted parking is also available for $3 (when purchased in advance). Build It! Now in its final weeks! 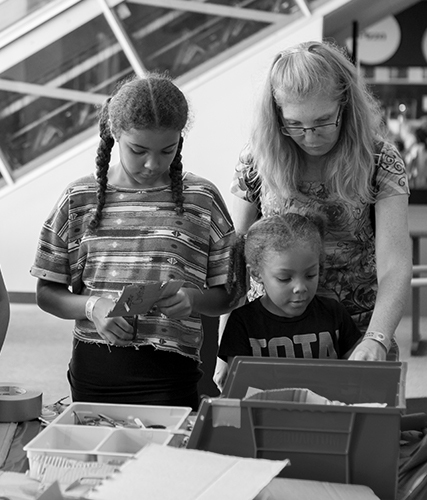 The Science Center’s brick-tastic exhibition Build It!, presented by ArcelorMittal, is entering its final weeks! Don’t miss the last phase of this special exhibition – Move It! – focusing on LEGOs that move, now through September 5.